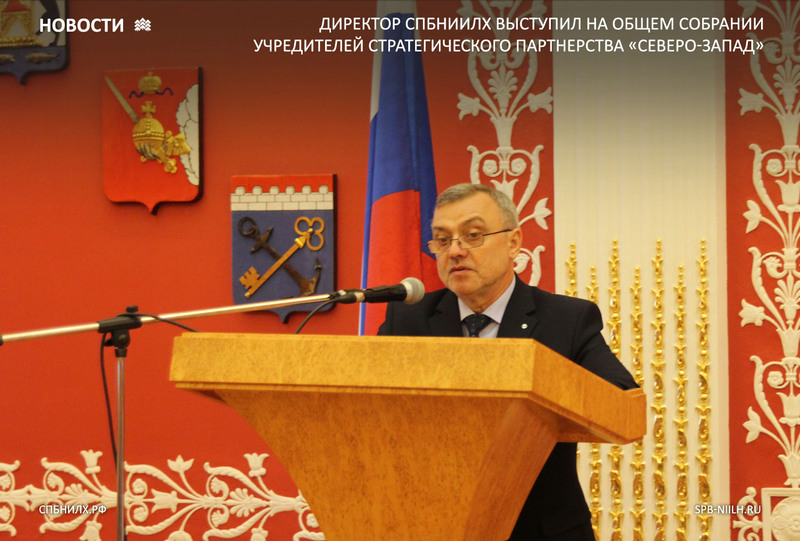 Journal "Proceedings of the St. Petersburg FRI"
Director of SPbFRI spoke at the General Meeting of the Strategic Partnership Founders "North-West"
Director of SPbFRI I.A. Vasilyev took part in the work of the General Meeting of Founders of the Autonomous Non-Profit Organization "Strategic partnership for economic and social development of the North-West Federal District", held on July 4, 2017. - The event was held in St. Petersburg, at the residence of the Plenipotentiary Representative of the President of the Russian Federation in the North-West Federal District. I. A. Vasilyev made proposals on the development of the forestry complex of the North-West Federal District. The general meeting of Founders of the Strategic Partnership was chaired by Anastasia Kuznetsova — Deputy Plenipotentiary of President of the Russian Federation in the North-West Federal District, Deputy Chairman of the Supervisory Board of the Strategic Partnership. Officials of subjects of the North-West Federal District, representatives of the largest regional companies and business associations, as well as participants of the Open agreement in the sphere of economic and social development of the district, took part in the meeting. Among them there were Ilim Group, Leningrad NPP, Lenenergo, IDGC of the North-West, Oktyabrskaya Railway, Severstal, SEVMASH, Siemens, SOGAZ, etc. Within the framework of the General Meeting of Founders, there were considered the results of work of Autonomous Non-Profit Organization "North-West Strategic Partnership" in 2016 and the first half of 2017, as well as plans for the further Partnership development.